First steps what was your biggest challenge? I had never held a violin until about 18months ago. I was given a cheap one in exchange for some studio work and by far the biggest problem was position. It felt like trying to hold a labrador puppy on crystal meth made out of jellyfish. 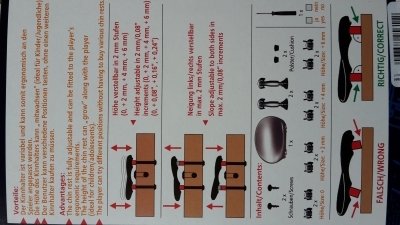 I tried again having watched umpteen vids and reading 'how to's' and ended up virtually crippled in neck and shoulder! And I do mean serious pain!!! It slid accross my chest, it tipped over, it cruised down to my belly, it wandered around my neck, it went walkabout over my shoulder. It was impossible. My neck must be too long, my chinrest too shallow, my chin the wrong shape, my shoulder rest wrong, my shoulders too round or something... Why couldn't I do it??? I must also add that I am a lefty and this meant I had to make my own chinrest and turn around and twist the shoulder rest to fit left handed, which probably didn't help. But I had also kinda scraped half a tune out of it so was hungry to stay with it. I knew consistancy of position was key to any kind of progress! The difference was instant. Now, every time I played, the violin stayed put for the most part and suddenly my world became violin. So much so I found a real bonafide lefty violin!! So instead of becoming firewood, the shoulder rest is to blame for my being here and totally loving learning to scratch out a tune or three! Seriouly, the shoulder rest was the difference between giving up. I have now been playing my 'new' violin since march this year and am utterly hooked. So I wonder what stories you guys have on what you found most difficult in your first encounters with this instrument of torture??? So I started experimenting with posture when playing - didn't help. Higher shoulder rest - nope, sore neck, violin kept slipping down to collarbone. 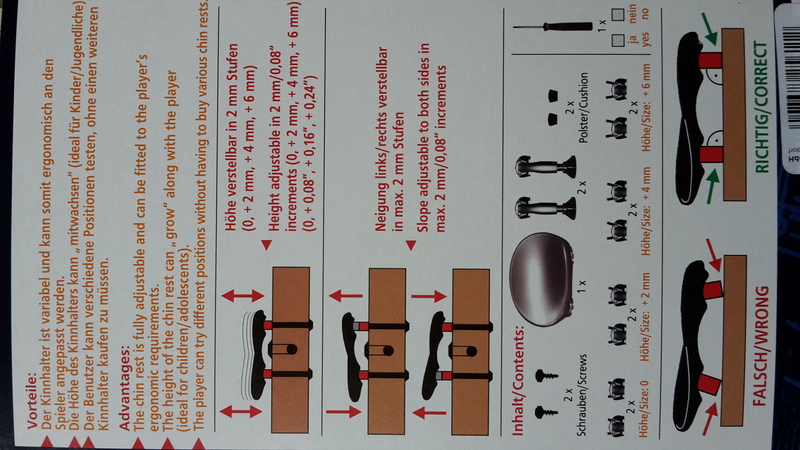 Higher chinrest then? Bingo!! I now have a Wittner adjustable one and it's keeping my head more upright, so now I'm not hunched over, my jaw is more relaxed and more importantly I'm not putting my back at risk from damage. @leftyuk Nice to read your post. 🙂 "puppy on meth made out of Jellyfish.." That is quite a description. I am glad to hear of your progress. My first year was terrorizing for many but uneventful. I seem to make a turtles progress with the violin...but I can say it always is in the right direction..with a few backslides.... (coming off a few days of hating my playing... and I am not sure why). Very interesting and great that you didn't give up. You found your solution!!! I've had trouble with shoulder rests. They don't seem to fit me and are always wanting to slide out or around. I bought the bon musica last month and it's night and day, i love it. I have broad shoulders and a large chest it is the only one that i can fit and the violin stays put. I had been using my left hand too much for support it was preventing me from progressing with faster finger movement. much better now. Great news Rob. The importance of a comfortable set up can't be over stated. Comfort makes everything easier. I've had the same issue as you guys. The shoulder-rest! What a pain, I too wasted a lot of learning time because of an ill adjusted position. 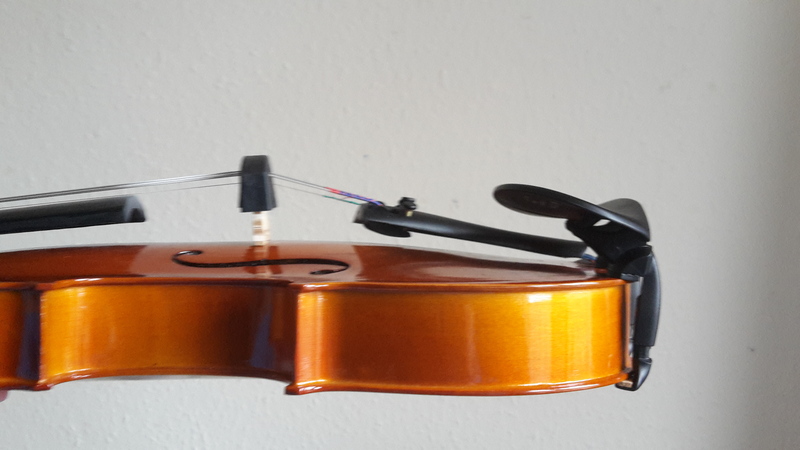 There were times I thought I had it correctly, but not to long after the violin would start sliding down again and I was starting to grind my teeth just to hold it + my neck and shoulders were hurting. When I thought I finally had it right a month ago it started digging a whole in my chest, even with a bunch of cloth I put underneath. After a while the shoulder rest started coming loose in the middle of playing too. Needless to say the bow never stayed in a consistent position either. Only about 1-2 weeks ago after chatting with some of the great members in this forum have I really been able to fix this issue. (this post got a lot longer than I had intended, sorry for the ramble. ......Higher shoulder rest - nope, sore neck, violin kept slipping down to collarbone. Out of interest - is that the center or side-mounted chin rest ? Thanks Leanne, I am looking both for just a little bit more height, and I suspect, the opportunity to "tilt" the jaw-cup a bit - I'm pretty much comfortable with what I have, until I try vibrato with the first finger now no longer in contact with the neck - I can "do it" but I'm just looking for a bit more in the way of "confidence that I'm not gonna lose hold of the violin completely" LOL. Eventually, I shouldn't need it, it's like trainer-wheels on a bicycle I guess.... but if it helps get me "more at ease" in the meantime, I might just get one. Thanks for the info ! I tried the Impressionist that Fiddlershop carries and I realy like it. You forms to your Jaw and it gives just a bit more height. Something to consider. Thanks folks @SilverHalide , admin and @mark_1 - I'm just searching for "that little bit extra confidence" - I mean - right now I'm happy to "wander about" - almost sing and dance (LOL) hands-free - and it's fine - I just get "unsettled" with my vibrato practice which wants to start to move the violin out-from-under-my-jaw if that makes sense.... I'm going to give this some thought ! @BillyG I know you're looking at chin rests for height, but what shoulder rest are you using? If you don't hate the chin rest you are currently using, maybe a higher shoulder rest would be the ticket? I have 3 different shoulder rest models across 3 different instruments - and I'm pretty happy with them all - and - they are all at the limit of their height adjustment. As I say - "normal" (for me) playing - I'm totally happy - it's when I have little/no support against the neck with the fleshy-part of the first finger and try a wide vibrato - it just sometimes gets "unsettling" as the chin rest starts to slip out from under my jaw. I can hold it, by additional pressing-down - but I don't really want to do that if avoidable, as it tenses my jaw and neck - and I don't believe that is necessary - sure - a gentle downward "nudge" I could understand, but I need to do more than that to hold it in "vibrato" mode..... I have noticed that if I wear a heavy padded jacket while playing (yup, it was a cold summer here so I've had plenty of times playing while dressed like that !!!) it's darned near perfect - ( hahaha, not the vib, I mean the fit ) hence my feeling the gap just needs to be filled-in somewhat, or, a chinrest with a more pronounced "bump" on it that would just sort of "sit behind my lower jaw bone" and be less prone to letting the violin pull forward during my wild attempts at vibrato LOL. That makes sense. 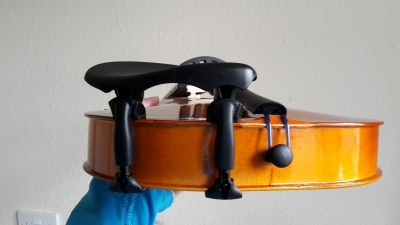 My shoulder rest is at it's limit (if I try to make it higher, it starts falling off my violin, lol) so I wonder if I'll have trouble with it in the future when I get to the point to start trying out vibrato. Edit to add, we've had a chillier than normal summer, too. We had a few weeks of normal summer weather, hot and humid, and now this week is chilly and rainy, lol. I don't mind it, but the weather has gone nuts, haha. Oh, I suppose it would be an improvement ! ta-dahhh!